NLP is the acronym for Neuro-Linguistic-Programming. Neuro refers to our Neurology or the biological makeup of our brains and nervous systems. Including our five senses: Sight, smell, hearing, taste and touch. As humans we are in contact with the world through these 5 senses. Our neurology takes this input and presents them to us internally in ways that are unique to you; this is the realm of subjective experience. What is important is that your experience will be created by combinations of these internal representations which create your behaviours. These will of course continue in the same way unless you interrupt them or redirect them. Linguistic refers to the language we use, both verbal and none verbal, and how this mirrors our internal mental processes. Programming suggests that we can re-programme our brain in much the same way as a modern computer, "upgrading" existing behaviours and "installing" new ones. Neuro-Linguistic Programming is a descriptive title for what in essence is an attitude of curiosity and experimentation that lead to a methodology. It can be defined as the study of the structure of subjective experience and builds on the belief that all behaviour has structure. It is based upon the attitude, the models and the skills which allow for constant generation of new techniques which are more effective and work faster. "There is nothing either good or bad, until thinking makes it so"
Gain an understanding of different learning styles enhancing a students self-esteem and motivation. Reduced stress levels and greater job satisfaction. Develop further creativity and the ability to pass this on to students. Able to present in a more imaginative and stimulating fashion. By understanding their own behaviour they can have more flexibility in their communication and improve areas such as Time management and make more time for selling. Do you want to CHANGE YOUR OWN BEHAVIOUR and the behaviour of those around you EASILY and EFFORTLESSLY at WILL with NLP training? 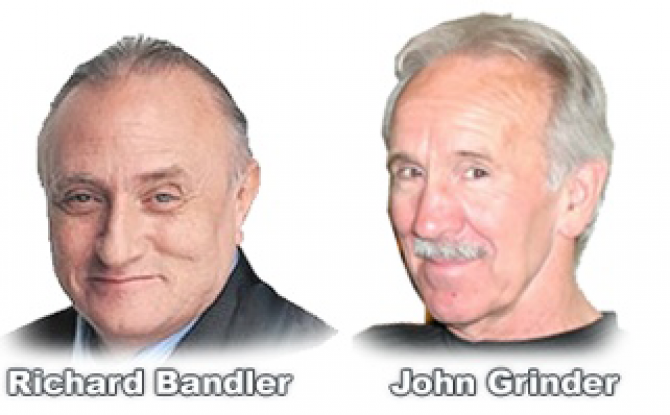 NLP was initially created in 1975 by Richard Bandler and John Grinder, who discovered that you can "model" human behaviour, and then, using this model, duplicate the results in someone else. They began modelling and duplicating the "magical results" of a few top communicators and therapists and using what they learned to improve other peoples skills and abilities. Some of the first people to be studied included Hypnotherapist Milton Erickson, gestalt therapist Fritz Perls and family therapist Virginia Satir. Because these models are formal they also allow for prediction and calculation. Patterns that may not have been available in any of these people's work could be calculated from the formal representations they had created. New techniques and models were (and still are being) developed. NLP was specifically created in order to allow us to appear to do magic by creating new ways of understanding how verbal and non-verbal communication affect the human brain. As such it presents us all with the opportunity to not only communicate better with others, but also learn how to gain more control over what we considered to be automatic functions of our own neurology. The ideas and methods used in NLP allow us to take behaviours apart, produce new and more empowering behaviours which will in turn let us control the input we get from the outside world. "Whether you think you can or think you can't - you are right"